Wondering which makeup brush is for what? Here's a guide. Presenting: The Official Makeup Brush Dictionary. 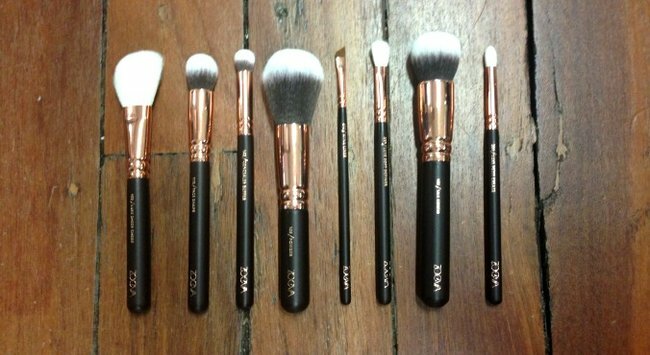 Image: ZOEVA’s new Rose Gold brush kit (vol 2). Makeup brushes are kind of like biochemical engineers: we appreciate their importance, but we don’t necessarily understand what they all do. We know a good brush can deliver streak-free foundation and blend eyeshadows so seamlessly it’s impossible to see where one shade ends and the other begins, but it’s certainly not a case of one-brush-does-all. 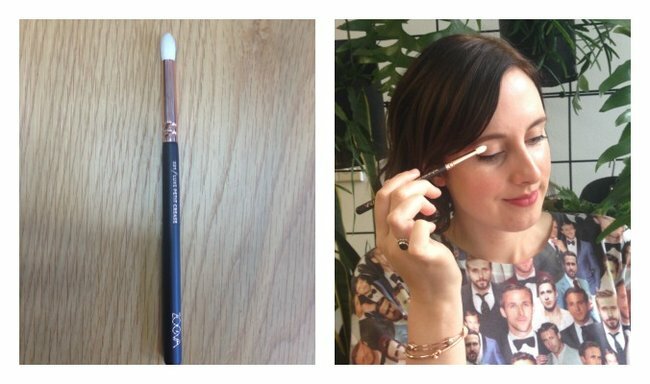 In fact, an eye makeup look alone can easily require three or more brushes. However, when you’re standing bewildered in the makeup aisle, it can be tricky to figure out which brush does what. We enlisted the help of Zoe Boikou, founder of German beauty brand ZOEVA, to guide us through. ZOEVA has amassed a global following for its excellent makeup brushes and tools, and will be launching its range in Sephora’s Australian stores tomorrow (that includes you, Melbourne!). Without further ado, we hereby present The Makeup Brush Dictionary — starring ZOEVA’s gorgeous new Rose Gold luxury brush set (Vol. 2) and The Glow team. “Applies loose and pressed powders. It’s the ideal tool for giving your makeup a light and smooth finish. 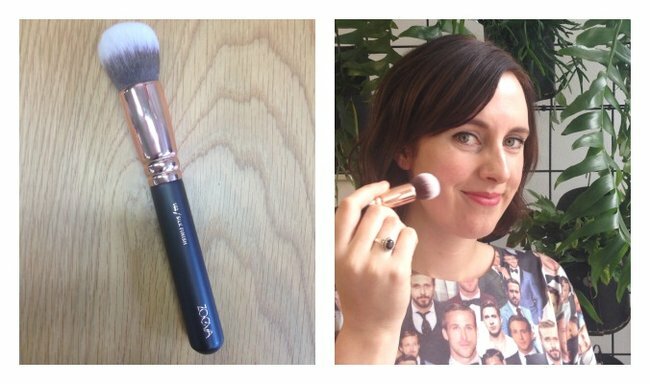 Achieve a gorgeous setting by applying your powder in circular movements,” Zoe explains. Zoe says this very fine brush "applies gel and cream eyeliner products for professionally lined eyes with a perfect winged look" and is ideal to "create expressive lash lines." We&apos;re sold. This is Zoeva&apos;s Luxe Mini Definer, which "blends easily and creates flowing transitions for extra soft makeup looks. This brush is a blending pro – perfect for pressed powder eyeshadows as well as loose eyeshadow pigments. Apply your eyeshadow with small circular movements and then blend." This one applies and blends concealer and corrector products. "The Concealer Buffer is the perfect beauty aid to easily and gently conceal shadows underneath the eyes. 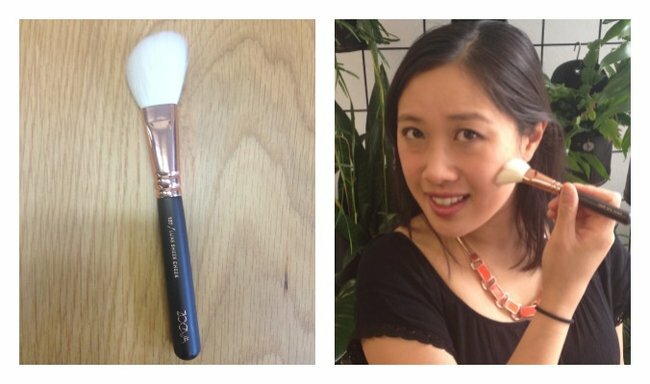 Thanks to its compact design, you can use the brush along your lower lash line without smudging your eye makeup," Zoe says. The full Rose Gold luxury brush set — Vol. 1 — contains 15 brushes, made with a blend of natural and synthetic hair which suits both cream and powder products. Which makeup brushes do you use most?